Continuing the recent trend of highlighting lesser-known operating systems 10 Free Operating Systems You Maybe Never Realized Existed 10 Free Operating Systems You Maybe Never Realized Existed Chances are, your computer came with Windows or macOS. These operating systems may seem free -- but they're not. However, there are many free but relatively unknown operating systems. Let's take a look. Read More , this week we bring you three that should at least look good. As opposed to the usual GNOME or KDE window managers found on most Linux distributions, these have all chosen in favour of Enlightenment. This results in a considerably different desktop appearance, with lashings of transparency and drop shadows everywhere. If a functional Linux operating system beneath a layer of eye-candy Linux Eye-Candy Linux Eye-Candy Read More sounds like your thing, then one of these might be worth a go. 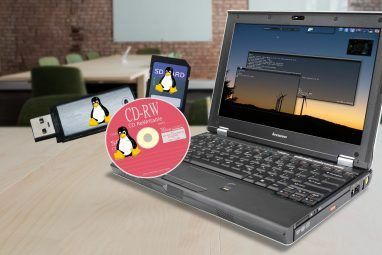 With Live CDs Put your Linux Distro on a Live CD Put your Linux Distro on a Live CD Recently, Live DVDs and Live USB have cropped up as well. These live systems are full versions of the operating system that run completely from the given medium. 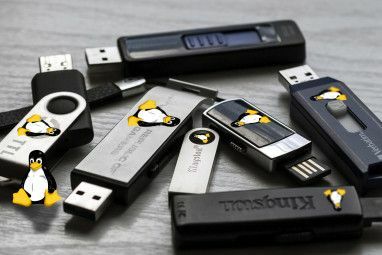 Read More and USB sticks, it’s easier than ever to test drive Linux without installing anything and there’s full instructions on how to do so at the end of the article. Based on Debian Linux, Elive is the only one on the list that’ll cost you. It’s free to try, and by try I mean run a fully-functional Live CD but if you want a full install it’ll cost you a donation of $15 or more. Don’t be put off, all you need is a spare USB stick or a blank CD for a quick demo. Elive 2.0 comes with enough software to keep style-conscious Linux types happy, and when you’ve run out then you can install more using the included Synaptic Package Manager. There are custom Enlightenment themes pre-installed, and the whole desktop experience is built to be visually pleasing. This Linux distribution contains the older E16 release of Enlightenment for speed of stability, and the newer E17 version which includes some pretty insane effects. 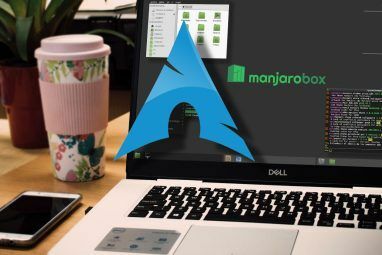 If you are running an older PC, the developers have made very clear that this distribution is not as hungry as you might think – so you can have a pretty OS without worrying about system requirements. At the time of writing, the next version of this OS is supposed to be out but oddly enough the download is unavailable at this time. Never mind, because Luna Serena still looks very impressive. Currently based on Ubuntu Ubuntu 10.04 - An Extremely Simple Operating System [Linux] Ubuntu 10.04 - An Extremely Simple Operating System [Linux] Read More (but shifting allegiance to Debian in the near future for stability), OpenGEU remains a popular Linux distribution, despite a lack of updates for a while. If you like the look of this one pay close attention to the website, as version 9.10 “Quarto di Luna” looks even more impressive than the last. The main focus of moonOS is speed, low system requirements and a beautiful interface. The Ubuntu-based OS uses Enlightenment instead of GNOME, and there are further plans for another version of moonOS using the Lightweight X11 Desktop Environment (LXDE) for older machines. The only problem I can see is that they’re dropping Enlightenment in favour of GNOME in the upcoming moonOS 4, so if you’d like to see a flashy window manager in action you’d better act fast. Being Linux distributions, the Live CD/USB combo is the order of the day. You can download the image file in .ISO format either using your browser or via a torrent link at each official website. If you’re burning a CD then ImgBurn ImgBurn - Easy & Free CD and DVD Burner App ImgBurn - Easy & Free CD and DVD Burner App Read More is your best bet, Linux users can get it working using Wine Run Windows Applications on Linux (or Mac) With WINE Run Windows Applications on Linux (or Mac) With WINE Read More and Mac users will be able to burn the image using the OS X Disk Utility. Windows and Linux users can use UNetbootin in order to make a Live USB stick How To Install Linux With Ease Using UNetbootin How To Install Linux With Ease Using UNetbootin We've already talked about Linux and why you should try it, but probably the hardest part of getting used to Linux is getting it in the first place. For Windows users, the simplest way is... Read More containing a bootable version of the software, and Mac users are able to do the same by running UNetbootin using Wine for OS X.
I always choose the USB option, though if your PC’s old it may not be able to boot via the USB drive. Once you’ve burned your CD or memory stick restart your PC and enter BIOS setup. You’re going to need to set your PC to boot from either USB or CD (depending on what you’re using). Most PCs enter BIOS when you hit F2 or Del after powering-on, but this will vary. Once you’ve worked it out prioritise your CD drive or USB volume to boot first, either within the Boot Devices menu or a separate Hard Drive boot priority menu. F10 will save and exit and restart your PC. If you did it all correctly then you’ll see the UNetbootin boot loader, simply make your choice and follow the instructions. You’ll be gawping at pretty effects in no time. 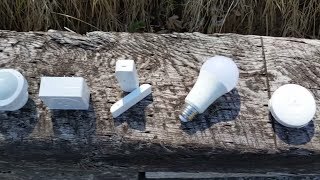 Do you use Enlightenment? Would you consider switching based on the strength of a GUI? Did you ever think Linux could be so pretty? Commenting is good for you, you can add your thoughts below! e16 has been my windowmanager of choice since 1999 (still using it in fedora21). we don't need (nor do I want) heavy window managers, and e16 takes this to heart, with an unequaled beauty and elegance. I've tried countless others, and always return to installing e16, gkrellm (and the glass and invisible skins), eterm (for it's overdone configurations by default, and transparencies). the main thing I like about it (besides my whole system booting in less than 7 seconds..(from completely off to being able to browse (with auto-login), is the fact that this window manager is elegant and still tiny (like 50mb or less). the most difficult thing about e16 is finding out what settings I want things to be, (such as focus settings) but after I ran it for a few weeks, I can now do that in a few minutes. it's extremely rich, yet minimalistic, as I prefer my desktop to be only the background and gkrellm (invisible skin), and (literally) everything else is a mouse click away (even one click background selection). the mere fact that e16 was built with the most configurable desktop in mind, (whether it be cluttered or bare) and leaves the choice up to me, is why I still favor it. nothing else has touched it since. I wish e18 will refind its roots. That looks great! It almost looks like Windows 7 when it comes to interface. @puzzled ... you will have to try it to find out why... I think it is first and only distro to be based on enlightenment and Debian. I used it for over a year, my first long term install. In the end, it was just too different for my tastes... but it is fast! and friendly forum. who in their right mind would pay $15 when there are soo many free distros? Haven't heard anything of Enlightenment for a long time. Tell me, is e17 still in perpetual alpha mode?